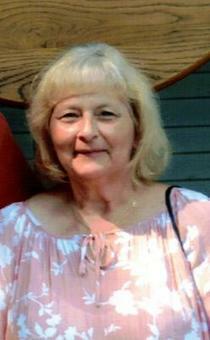 Cheryl Lynn Boggs age 63, of Ashland, passed away unexpectedly Sunday, March 3, 2019 at University Hospitals Cleveland Medical Center. She was born August 28, 1955 in Mansfield, the daughter of Jacob and Erma Mae (Akins) Doty. Cheryl had lived most of her life in Ashland where she was employed as a Clerk with the Ashland Probate Court. She enjoyed antiquing, decorating, gardening, and loved flowers. She also enjoyed traveling with her husband. On December 24, 1996 Cheryl married Rusty Boggs who survives. Also surviving are her mother, Erma Doty of Ashland; her step- son, Evan (Bonita) Boggs of Fredericktown; her step- daughter, Carla Looker of Mt. Gilead; her step- grandchildren, Kylee and Kenady Boggs; her brother, Roger Doty of Ashland; along with her nephew Michael (Jessica) Doty of Columbus. Cheryl was preceded in death by her father, Jacob Doty.